Our curriculum follows the guidelines set forth by the Catholic Archdiocese of Newark and the State of New Jersey. 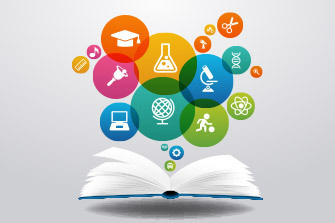 Religion, Language Arts (Grammar, Writing, Literature), Reading, Social Studies (History, Geography), Mathematics, Science, Computer Literacy, World Language, Art, Music, and Physical Education. A variety of instructional approaches are used to meet the needs of the individual students and addresses different learning styles within the classroom. A school with emphasis on the inclusion of close reading strategies that foster critical, in-depth understanding of complex text, enhanced vocabulary development and improved reading in the content areas. Support teachers in grades 1-4 in both reading and mathematics allow for targeted small group and individual instruction. A professor in residence from William Paterson University works one day each week with all teachers of mathematics, modeling lessons, team teaching and providing imbedded professional development. The goal of our educational program is to awaken in each child a love of learning and provide them with skills and knowledge that will enable them to grow spiritually, become excellent students and productive members of society.